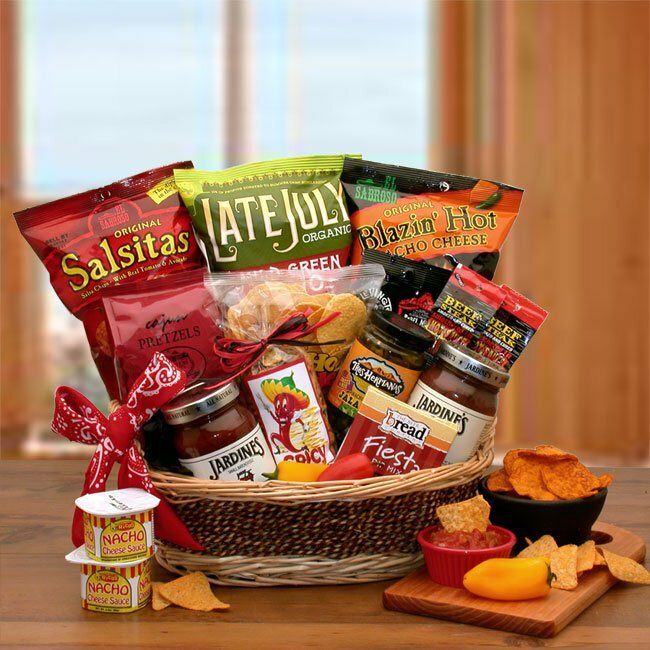 Some things don't come in small packages like the Taste of Mexican Gourmet Salsa & Chips Gift Basket. Get ready for taco night because this Mexican feast makes a great gift for anyone who wants to enjoy all of the Mexican treats imaginable. There is a wide variety of different tortilla chips for the salty snack lovers, and even nacho cheese to dip in in. For the spice lover try the sliced jalapenos or the spicy jalapeno cheese dip. Add to the cheese with 2 different kinds of salsa and you've got a great snack.